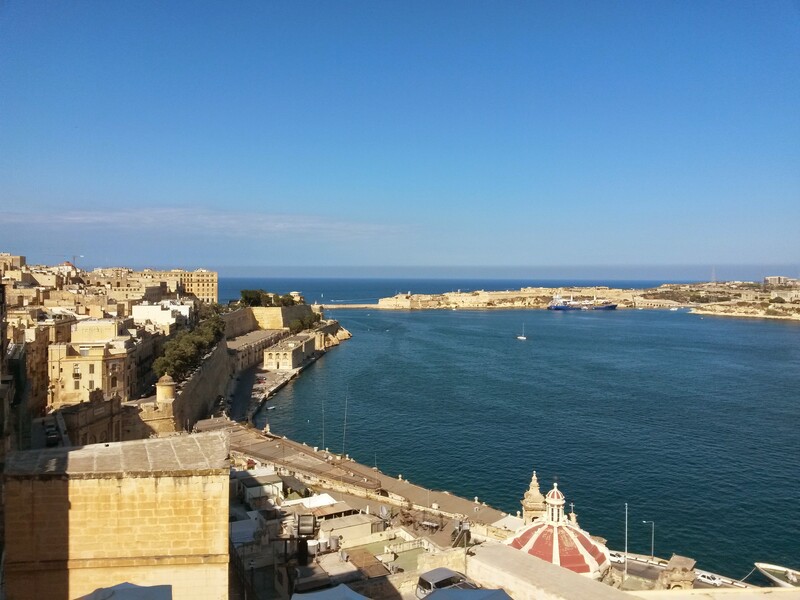 There has been a lot said on my blog lately about our holiday in Malta. There is much left to be said, adventures to be relived and ponderings to be considered. For now, for this week, however I’m going to take a break from the holiday and let the blog settle back into daily life. 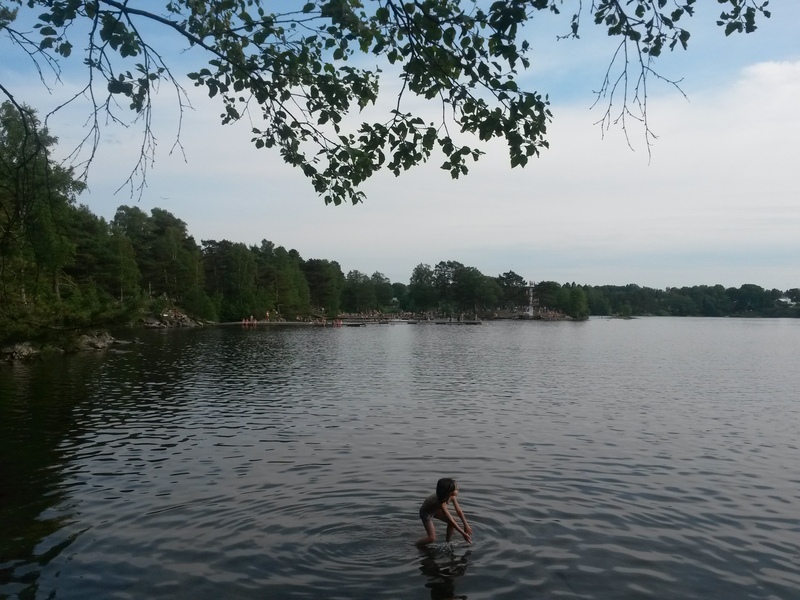 Despite us just having recently passed the peak of Summer, the two things that usually sum up that time of year in Sweden do not apply at the moment. Most of the locals, our workmates and friends have disappeared to sunnier climes, or popped up on sunny beaches on Facebook or sporting a tan from weeks in Spain. Even businesses are taking a break, many stores sporting ‘semester stängt!’ signs on the doors and promising to be back in August. Our own tans fading, we have returned to work and the usual comings and goings of the non-holiday year. No doubt it was like this last year, during our first full Summer, but the long sun-filled days and fine weather distracted us from the absences. We have not been so lucky this year. Rather than open itself up to endless blue and those tiny, puffy clouds that are so nice to stare at while lying on your back after a picnic, the sky has opened to release rain, and a lot of it. When we returned from Malta we arrived in time to enjoy the third of three properly Summer days, and since then we’ve all had to suffice with mornings and afternoons here and there, scattered and fine enough that we feel grateful whenever we feel the warmth of the sun. It does teach you to enjoy it when it comes, and staring out the window at the blank white sky and drizzle, I don’t think I could ever take fine weather for granted again. 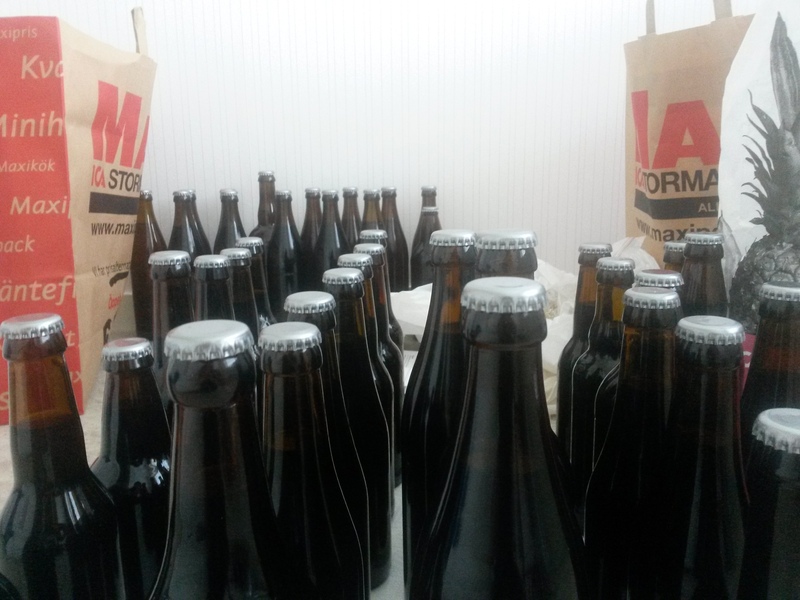 So we sit inside, and when we’re not working my partner gets on with his beer and cider brewing while I design labels and help with the bottling. 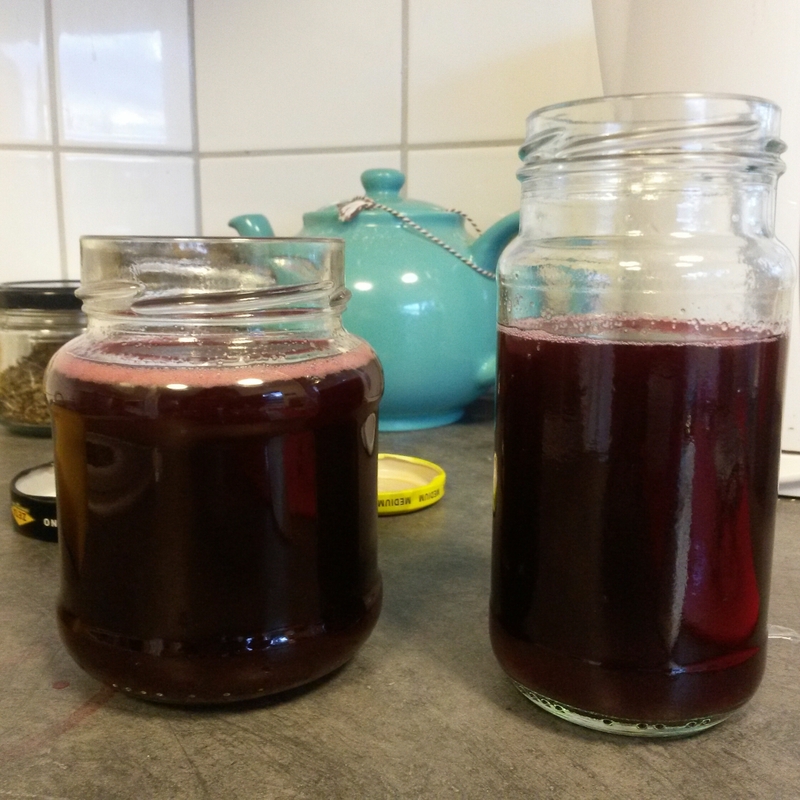 My projects in the meantime have included making elderberry cordial and raspberry syrup from scratch, and tinkering with the idea of prettying up some old clothes. 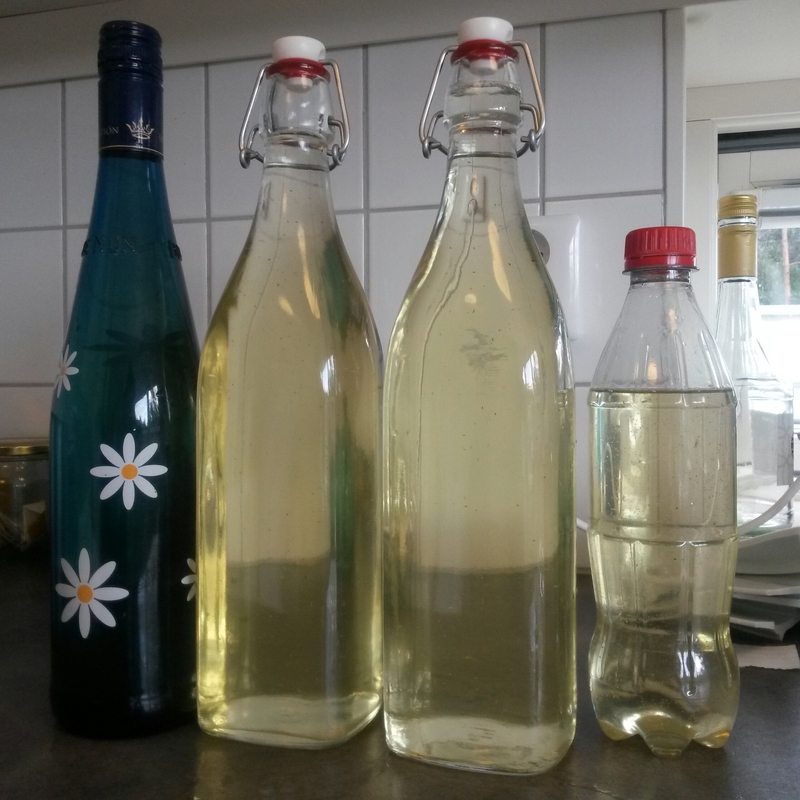 In short we’ve adopted Swedish winter habits, keeping our hands and minds busy while the world outside gets on with its unpleasant business, whatever that may be. So, while our tans fade and the days shift inexorably to Autumn, we are occupied with creating and experimenting, taking a morning or afternoon to enjoy moments of sun, and looking forward to enjoying the fruits of our labours when the dark seasons properly set in. And vicariously enjoying the sun through those whose holidays still continue. Our second full day in Malta dawned full of promise and hoping for the best we decided to put our fate into the hands of the tourist buses. We had avoided them as being too touristy and expensive in comparison with public transport, what with budgeting and travelling locally and all that. As we had stood at the bus stop the previous night, being told that the final bus that could take us home wasn’t accepting anymore passengers, and after a few hours of discovering every pot hole from coast to coast, we felt we had reached a tipping point. So off we trundled to Sliema, where we accosted one of the army of people trying to make bookings (she seemed surprised to be an accostee for once) and got tickets for one of the hop on hop off buses that endlessly circled the islands. After a little bit of being bussed about, we made it onto the doubledecker bus, taking our seats on the roofs and plugging in our headphones to soak in the surroundings the history in comfort. 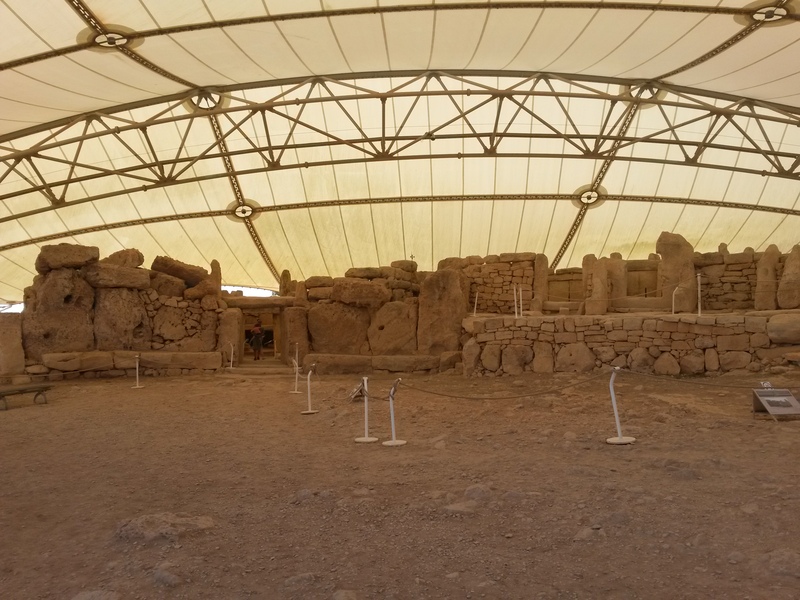 Our first stop was Tarxien, a large open air Megalithic temple that is about 5000 years old. It lies in the middle of a little town, so we followed signs to a square, surrounded on one side by a cemetery and on the other by a high wall. In the shade of sparse trees a food van sold wilting fruit and vegetables, or would have had there been anyone to sell them to. The area was entirely empty of tourists or tourist traps, and a duck around the corner to the entrance revealed that the site was closed for the time being, while a protective cover was built. Which was, we agreed, a good idea. 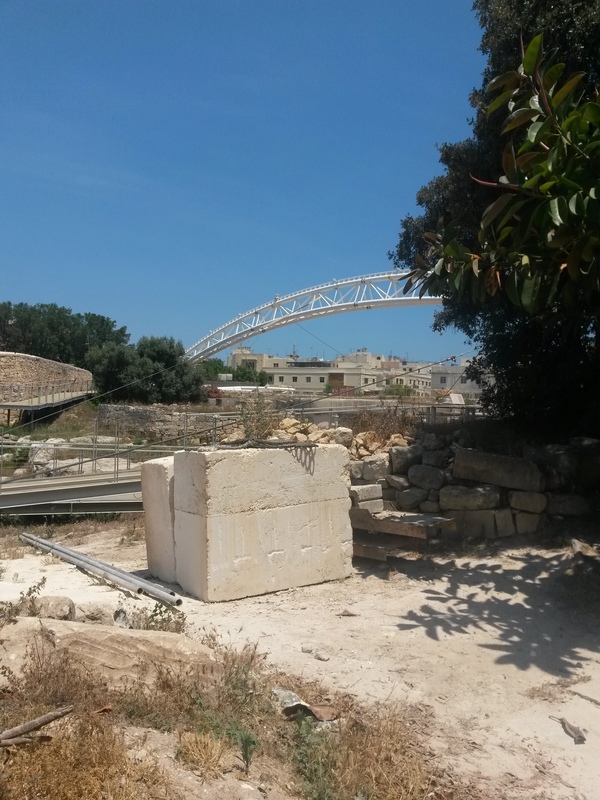 It would have been better to have been made aware of this fact by the lady at the tourism office, the bus driver who announced the stop or even the Tarxien website. Somewhat miffed, we bought some groceries and ducked into the almost hidden door to the Hypogeum of Ħal-Saflieni in the hopes that someone may have canceled their bookings. 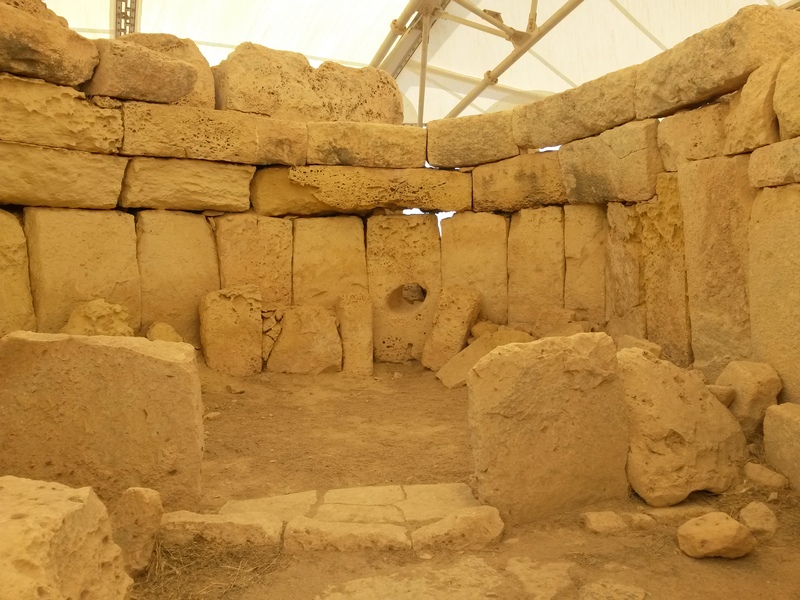 This ancient site is probably the most famous of the prehistoric temples in Malta, and only accepts a limited number of visitors per day to preserve it. 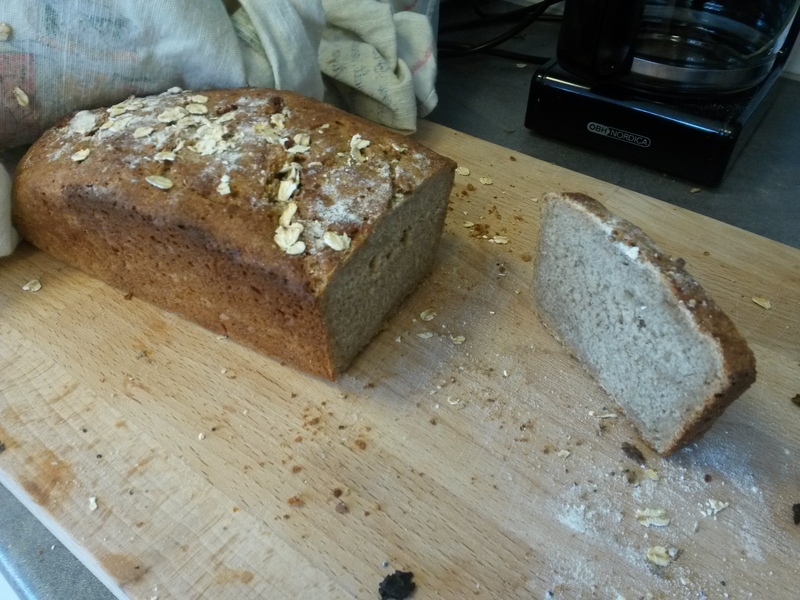 As such you need to book well ahead, more than a month as I discovered when I attempted to do this. When we arrived there were no cancellations and the next available booking was on August 2nd. We left the office, almost lost among the other buildings whose construction had precipitated the Hypogeum’s finding, and the destruction of the temple above ground. 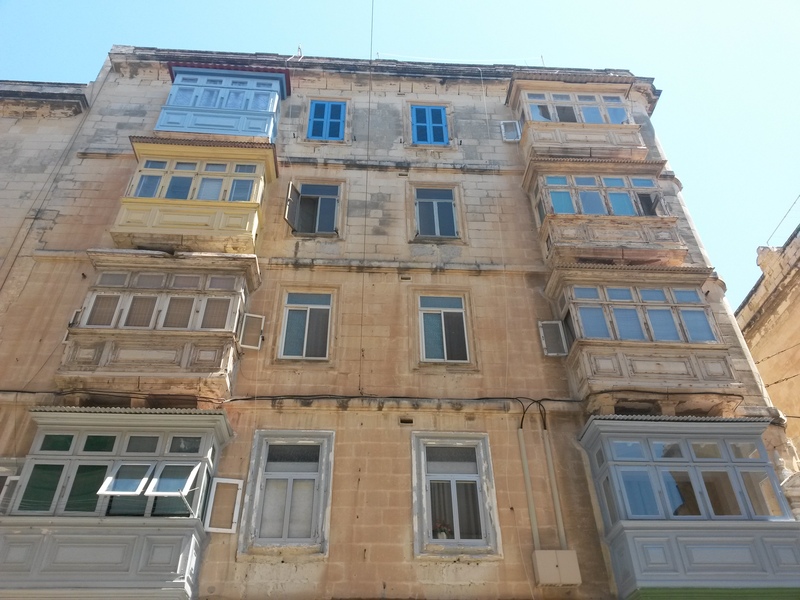 In a later post I’ll go into this inability of the Maltese to build anything without discovering some remnant of their history, and the pride and irritation that at least one person feels about it. For now at least, the heroes of this story are standing at a bus stop, feeling a little let down by fate and whatever gods oversee tourists. They won’t be downcast for too long though, as the bus arrived not overly late and they got to enjoy some time with the wind in their hair and the sun on their skin as they journeyed on towards another site of interest. 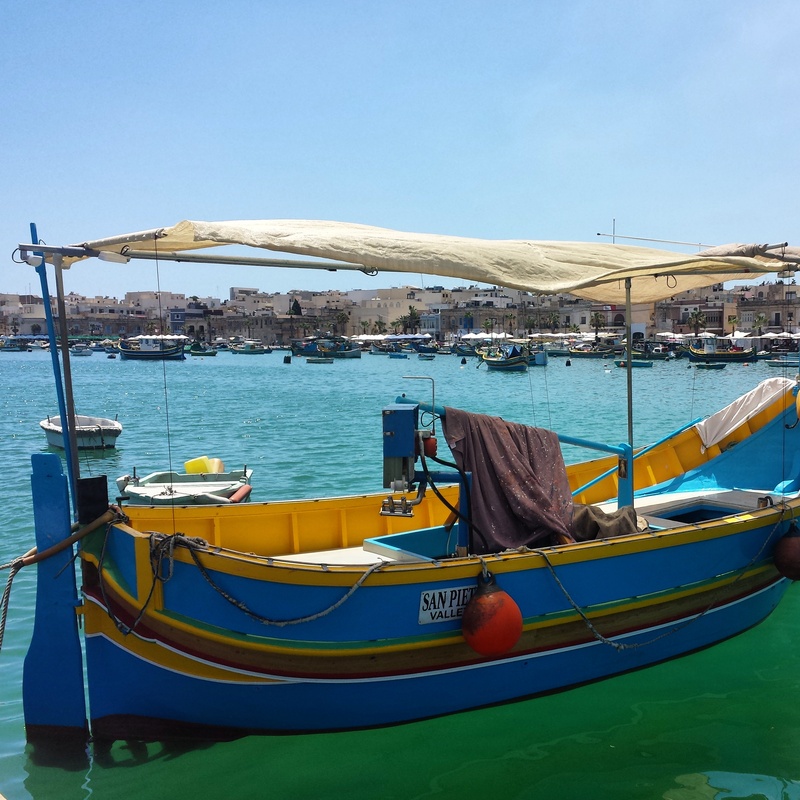 Marsaxlokk is an old fishing town and has been since the Phoenicians settled there in the 900sBCE, if not before. Though the restaurants along the waterfront were listed as must see/eat attractions, we decided to stay on the bus while the driver took a toilet break, admiring the neat terraced houses and colourful array of boats bobbing in the harbour. Many were painted in the style that seemed unique to Malta, lines of lateral red, blue and yellow along the length of the boat and small eyes or fish painted on the prow. 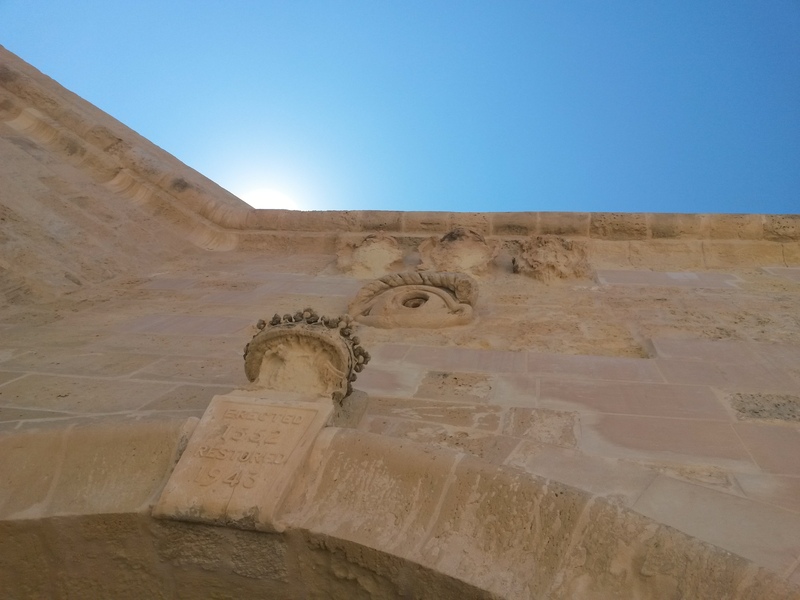 The eyes are another tie to the Phoenicians, a sign to ward off the evil eye and protect against malign forces that has somehow managed to survive into the deeply Catholic culture that exists today on Malta. As the bus moved off, we rounded the coast and soon came to our next stop and our second attempt at seeing some of the ancient history of the islands. 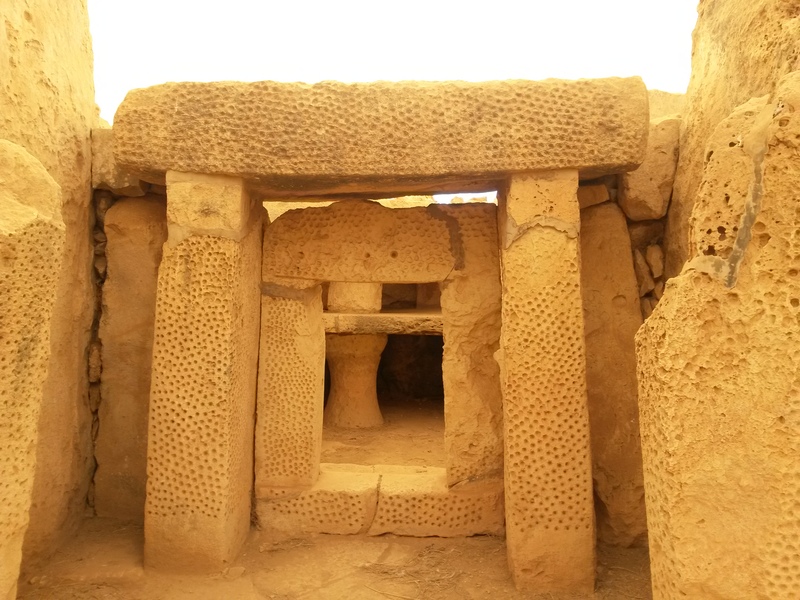 As with the temples we had tried and failed to see, Ħaġar Qim and Mnajdra date from the 3000-4000s BCE are were built by people who left many traces of their lives but none to indicate where they went or why they suddenly disappeared from history. Unlike the other sites, these aren’t located in busy towns but instead on hills that end in cliffs overlooking the sea. Before we could catch more than a glimpse of them, however, we were ushered into a small cinema and handed 3D glasses. A short film soon followed, with a warning to be aware that the experience was going to be more sensual, or at least sense oriented, than we were used to. As the history of the site unfolded before us, gusts of dusty, limestone heavy wind and a light drizzle of rain punctuated the turn of the centuries. Without words we saw the structures being built, used, abandoned and finally discovered and reconstructed. When the lights turned back on we went out and explored the small but very interesting and interactive museum, having a go at bashing rocks with other rocks and other educational activities. A plaque on a wall acknowledged the contributions that Norway had made to the funds to preserve the site, which seemed to us to be very generous, if a little baffling. Out under the sky again we walked down the dusty path to the nearer of the two temples. As we walked through the scrub buzzing with insects and small birds, I wondered how much the land had changed since the temples had been constructed. The forests were gone and old roads faded, but our view over the sea and the flowers blooming on the edges of the cliffs must have been familiar to those ancient eyes who had watched the temples take shape. 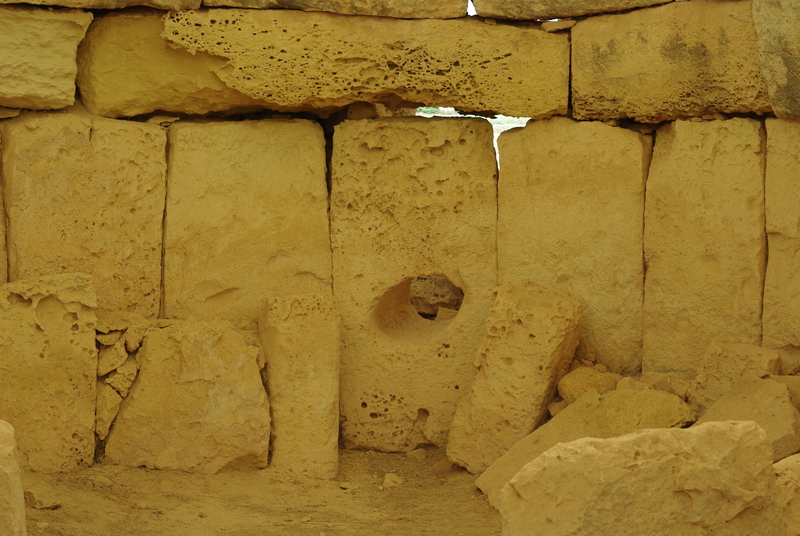 Ħaġar Qim is large, even though the limestone it is made of has been weathered by time. The stones form ramps, chapels and altars, some carved with swirls or a pattern of dots, one block even weighing 57 tonnes. A menhir stands at the back, 5 metres tall and around the base are scattered stones that I suppose the archaeologists couldn’t find a place for. In one room a hole in the wall lets in a circle of light, and at certain times of the year this circle lights particular stones, marking the equinoxes for reasons that are lost to us. Mnajdra was a little smaller, located a hundred or so metres the the north of its neighbour, and similarly impressive. Among the immense pillars and towering walls is a perfectly balanced altar framed by pillars, the soft gold of the limestone giving it a luminous quality. Though neither temple is as large as Tarxien, nor as famous as the Hypogeum, they have a sense of permanence and endurance that’s only strengthened by the sparse slopes and steep cliffs where they perch. And long may they perch there. The capital city of Valletta on the island of Malta was at one time the headquarters of the Knights of St John, and had in fact been built by them. Or they ordered it built in any case. The Knights were one of the more adventurous orders, skipping from country to country one step ahead of the Ottomans, laying siege here, being besieged there and amassing a lot of wealth along the way. When they eventually washed up on the scant shores of Malta, I imagine there may have been some sights of ‘here we go again’ from the inhabitants, or whatever the local equivalent is on an island that almost seems to be the hot potato of the Mediterranean. These latest visitors would only be around for about 250 years, but during that time they left their mark very clearly all over the islands. 14 towers circle the islands, castles and fortresses surmount most large hills, and at the capital you can’t go 5 metres without seeing a trace of them. Especially if you approach by water. Fort St Elmo is perched on the seaward facing point of the penninsula. As you approach from the north on a bus, winding around the points of St Julian and Sliema, you can catch glimpses of the massive walls and towers, the golden limestone glowing in the morning light. From the walls themselves you can get an amazing view over the harbour and surrounding metropolis, as well as imagine what it must have been like for the soldiers watching the sea for invading fleets. In 1565 there would have been blood and fighting where we stood enjoying the sea breeze, as the fortress fell during the Great Siege. A little distance away from the walls, we found the small, quiet chapel of St Anne which had apparently been the site of the last stand of the Knights, and where a number of priests were killed. I read this before I went in, so I couldn’t help shivering a little as I looked around, and not just from the chill of the darkened room. 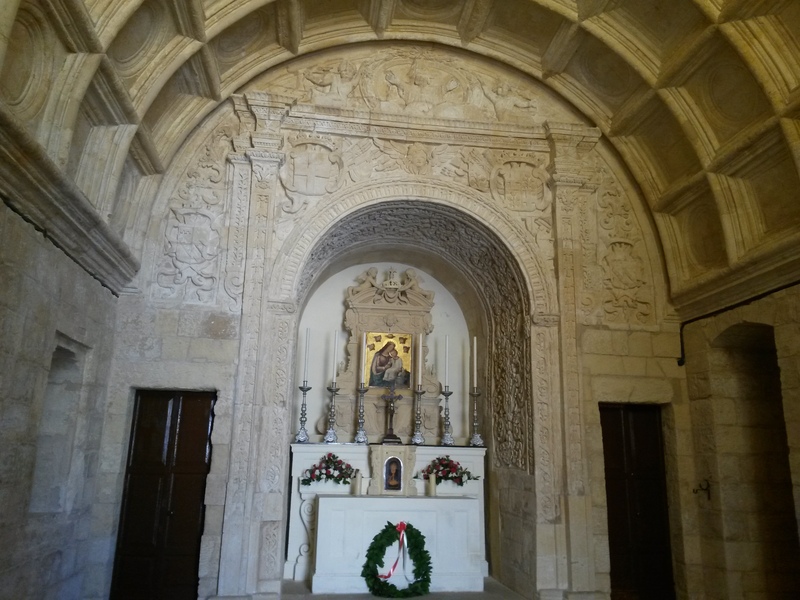 In addition to chapels, walls, bastions (whatever they are) and gates with eyes, the Fort of St Elmo contains a war museum detailing the military history of Malta. Not having a huge amount of interest in the subject, at least when it doesn’t concern really ancient military history, I left my fella to it and wandered out of the fortress and into the streets of Valletta. The main streets leading from the city gates to the fortress were busy with tourists, so I nipped down a few side streets, passing locals going about their business. There was an old man on a mobile talking animatedly, a woman hanging up washing on her balcony and a number of stray cats snoozing in the shade of parked cars. For some reason most of the cats on Malta are ginger. My theory is that once, long ago, a ginger cat was brought to the island and through a campaign of feline bullying took over the capital city and ensured that its descendants continued its gingery legacy. Most likely it came from Sicily, where keeping it in the family is apparently de rigueur. My feet eventually led me to the Museum of Archaeology, where I spent a happy few hours exploring the long history of the islands. 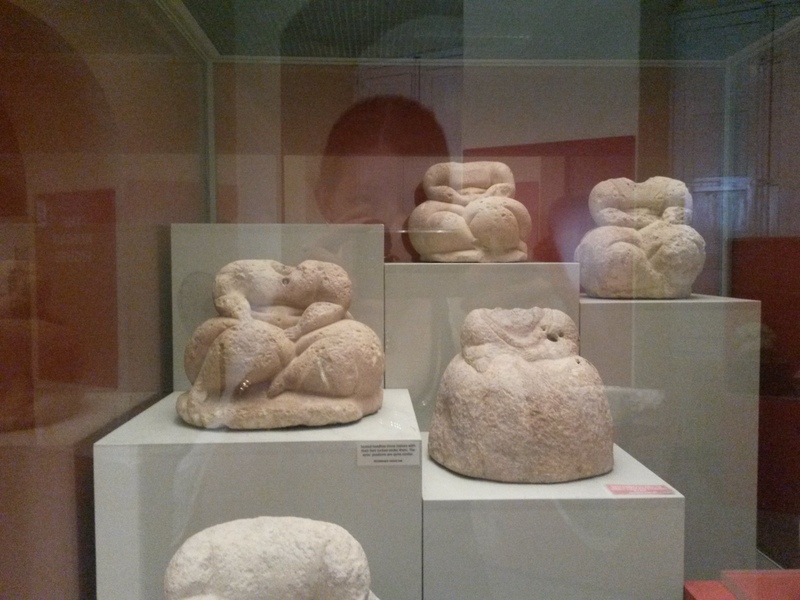 Among the things that most struck me were the sculptures from the Neolithic period. The most common were large women, sitting with legs decorously folded to the side and one arm folded. There were no heads on the bodies, but rather a hole where archaeologists assume a series of interchangeable heads could have been inserted. Though some were clumsily made, there were many that had been very finely carved, the folds in their dresses precisely made and their hands and feet delicate, giving a sense of dignity and poise even after all these years. Elsewhere in the museum was a room dedicated to the Phoenicians, who had dominated the islands before the Romans took over in the 200sBCE. 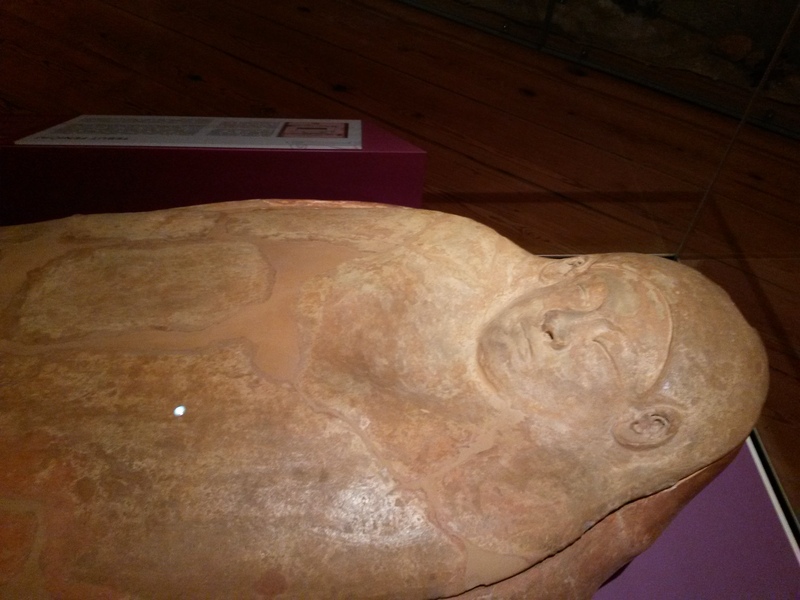 I’ve never had a chance to see Phoenician artifacts before, overwhelmed as they were and are by their noisy competitors, so a tiny curse scroll in their script and a sarcophagus who looked as though she was holding her breath were pleasant surprises. History ancient and military achieved, we met up and made our way to the Upper Barakka Gardens, swapping notes on the history of the islands. From the balconies and shady tables of the gardens we had an amazing view out over the harbour and city, the industry of the docks chugging away behind tourist boats, and ancient fortresses blending with busy neighbourhoods. Before we could let ourselves settle too deeply into our chairs, however, there was an event that night that I very much wanted to attend. The L-Imnarja is an ancient agricultural festival held in honour of St Paul and St Peter (or at least since Catholicism came to Malta), which takes place in Buskett Garden. This is a grove not far from Mdina in the centre of the island and as such I had assumed from the safety of my computer in Sweden that it would be no problem to get there and join in the market stalls and watch the donkey and horse races before the fireworks were finally set off. Once in Malta the reality of traveling the 12.5kms from Valletta to Buskett settled in, and so did we on our bus seats as we sadly passed the stop for the festival, realising that if we did get off there would be no reliable way to get back home. 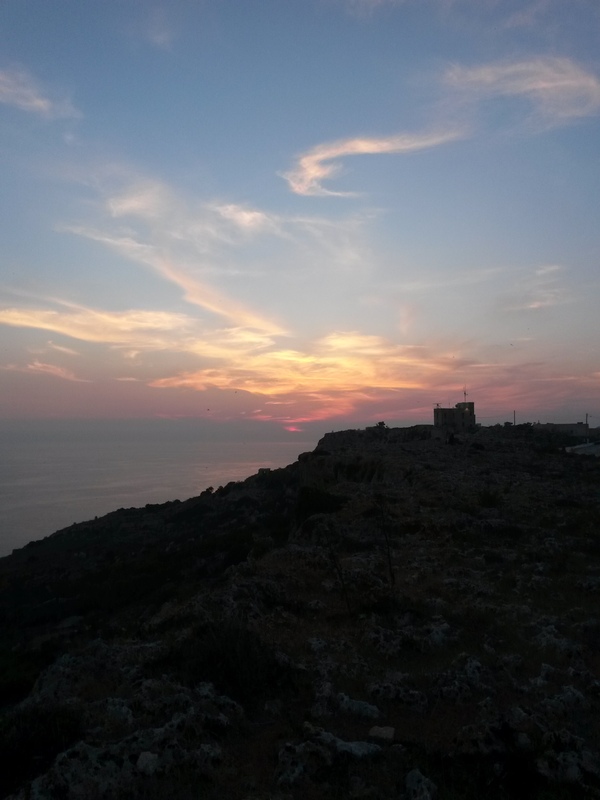 Instead we continued on the bus to Dingli cliffs, which is less disappointing now that I know that we should have gone around the corner to see the real ones. The sunset over the scrubby flowers and plants and the sea beyond was a lovely sight though, and worth the long bus ride and teenagers loudly singing the hits of the 80s. Tired and hungry, we went back to town and dined on local pastries and a slushie overlooking the Sliema harbour, were refused admittance to the last bus home as it was too full and caught a taxi back to the apartment, trying not to doze off as we rocked up the roads and trudged across the construction site in the bright, Mediterranean moonlight. 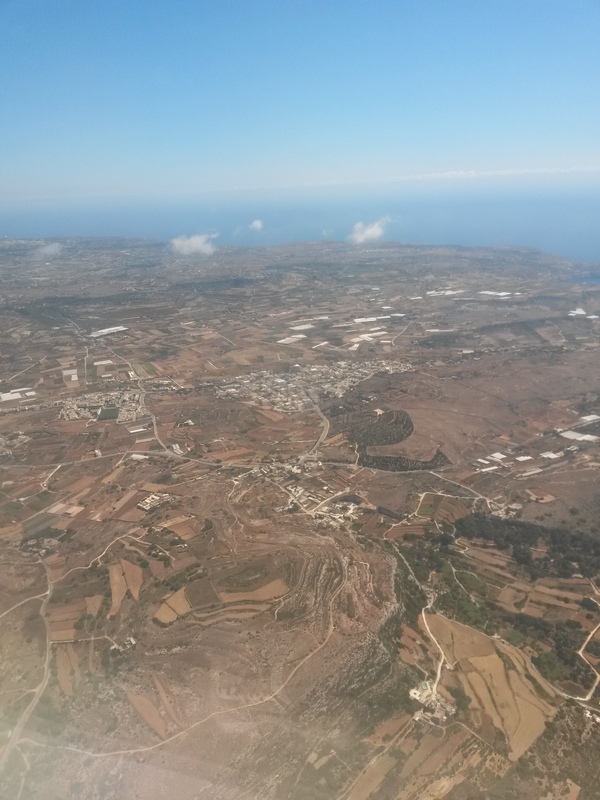 The landscape of Malta is similar to Spain from the air; yellow and brown, with golden-cream coloured towns and patches of dark green that looked shrubby even from the air. As we descended the buildings became a mix of balconied Italian houses with Qatar-esque arches in the same shade of warm gold limestone. Cacti and eucalyptus trees filled in gaps, making the mix of familiar and foreign even stronger. As we bussed to the apartment where we would be staying, we caught glimpses of a calm blue sea and heavily populated bays awash with yachts. After missing our stop we caught another bus back and then found ourselves navigating around a dusty construction site to the apartment, where our hosts were cheerfully waving in welcome. After that we were very enthused about relaxing and washing off the muck of air travel and construction site, and so devoted some time to that. Have you noticed that you never feel clean after a journey on a plane? Conspiracy nonsense aside, there’s something strange about passing through vast and then cramped sterile areas and feeling as though you’re carrying an inch of gunk on your skin. Rarely is a shower more welcome, and so it was for me on that first evening. Outside the apartment, across the construction site, lay a very shallow bay, walled and bisected into large square pools. These, we learnt later, were 16th century salt pans which have fallen into disuse, though a small chapel still stands in the centre, blessing the quiet, salty water. As there was no way over the salt pans we went around, again venturing into a construction site, which wasn’t very secure. Not enough to keep out two cautious tourists and various locals at least. I would like to point out that if there had been footpaths we would have happily used them, but there weren’t, so we didn’t. We passed through a ‘no trespassing’ into a park, past an incongruous memorial to JFK and bit by bit got closer to the living part of the area. Terraced roads overlooked the bay, which deepened and filled with boats, and as we strode along families enjoyed their dinner in the sun, or cleaned out the motors of boats. We soon enjoyed our own dinner, pizza and local wine in a boathouse restaurant as the sun set on the other side of the island. The further around the peninsula of Qawra that we went, the thicker the crowds of tourists became. Many were middle aged and Italian, strolling along with grandkids or in groups enjoying their holidays. It would be later before we started to see more of the younger crowds, and began to hear more snippets of English. At the tip of the penninsula, below street level and facing the sea, is Cafe Del Mar. We never got around to visiting, but even at 8pm it seemed to me to embody the sort of place that people imagine when thinking of Mediterranean islands in summer. 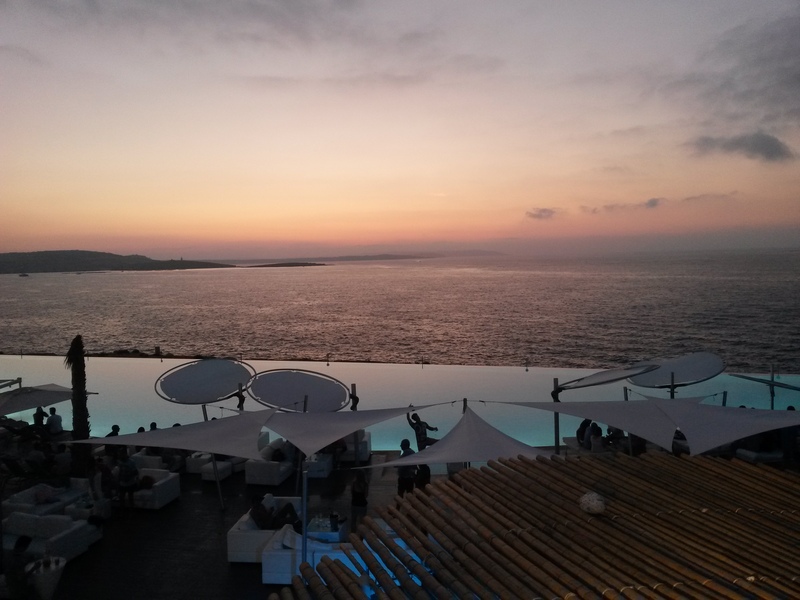 A perfectly clear and calm pool, umbrellas and white deck lounges, with bars scattered among them prepping for the night ahead, and electronic music pumping away. The hours passed and we walked further, stopping to listen to a charity gig opposing human-trafficking and stare at the horse drawn carriages trotting past. We ended up in St Paul’s Bay with a bottle of red and a sense of really being on holiday in a place that seemed stranger and more surprising with each passing moment. 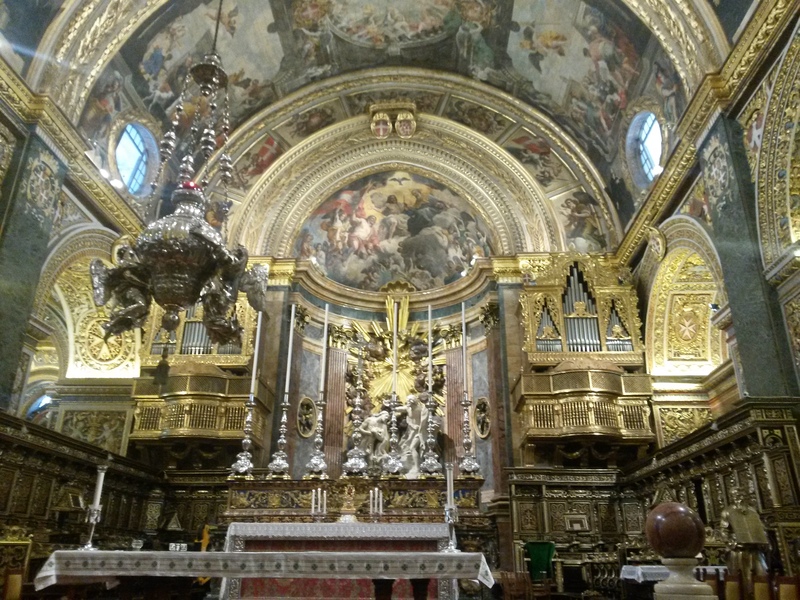 The capital of Malta is Valletta, formerly the base for the Knights of St John, and was where we headed for our first full day. A bus took us through labyrinthine streets and stone walled garden plots and deposited us at the gates of the city. And they were certainly city gates, tall and imposing and flanked by deep moats. Inside my first impression was of modernity, the sharp edged building to the right and the touristy mall to the left not fitting with the image of ancient fortress. As we soon discovered, this was because the original buildings that had stood there had been destroyed during WWII. In fact a majority of the buildings on the islands had been bombed to dust by the German airforce, leaving the way open for new styles and architecture. As well as a lot of rubble, which seems to have been converted into the precarious stone walls that divide the islands. Despite this, most of the houses were built in what I think of as the old, Italian style, with tall narrow town-houses fronted by elaborate balconies. Much of Valletta was made of these, the straight and hilly streets shadowed by brightly painted or scuffed, wooden or metal balconies in many styles. It being Sunday many shops were closed, but we managed to find the tourist office, which was mysteriously empty. When there were so many tourists around, why were none of them in here booking tours and asking the same questions over and over? The answer would become clear to us in time, but at this point we just grabbed some pamphlets, were vaguely helped by the receptionist when she glanced up from her phone, and then headed back out into the sunlight. Our first attraction in this ancient city was almost on a whim, as we passed craft stalls and then turned to peer into St John’s Co-Cathedral. Why not go in, we thought. As I was wearing shorts (actual shortish shorts, for the first time in over a year. Truly summer had come!) I had to wrap a cloth around my legs, which turned out to be handy for clipping things on as we explored. 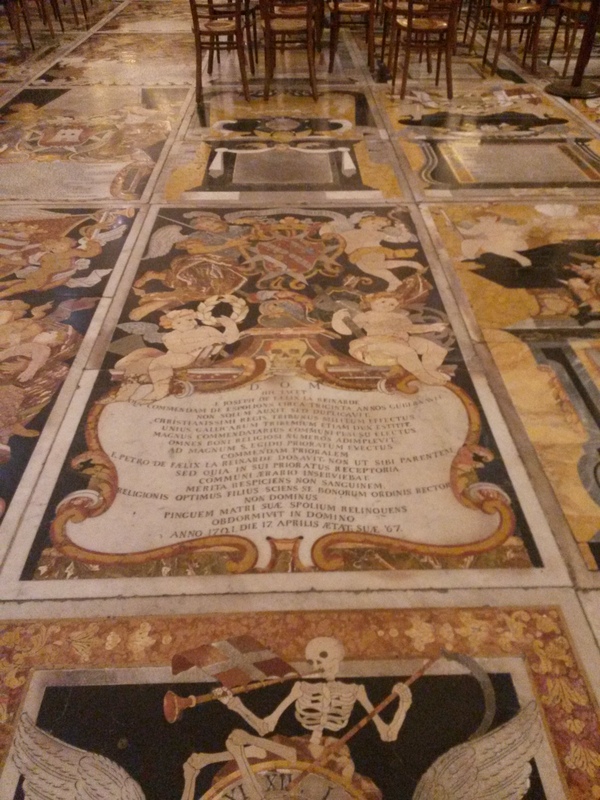 As the tourist book said, it was elaborate, the walls decorated richly in gold and silver and bright colours, the floor covered with the tombstones of knights done in multi-coloured marble, each one individual. I admired the chapels, each unique and elaborate, and soaked in the two paintings by Caravaggio that hang in the Cathedral. On one wall is a painting of an aged St Jerome writing in a dark room, and facing it across a large room is The Beheading of St John the Baptist. This second one of the most arresting, with the play of colour and drama and use of chiaroscuro clear enough even for untrained me to appreciate. Out in the sunlight we sought and found a bar which offered tapas and the local beer for €6, and settled in. 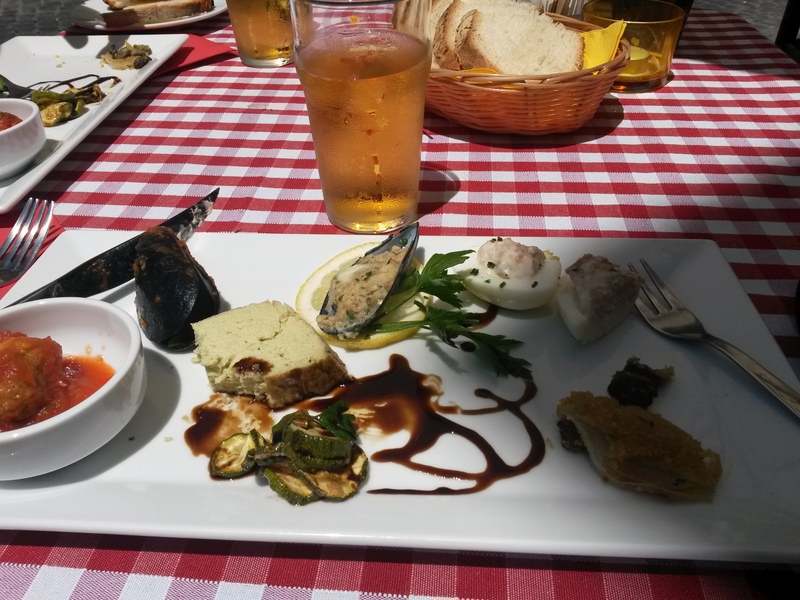 It is one of the first types of beer that I have ever liked, and so I was in no rush to move on with our day, snacking on local delicacies and watching the tourists and locals pass us by.